Our Vision: To revitalize an existing neighborhood by providing access to healthy local foods. Our Mission: Garden, Grow, Bloom: To instill a seed of local foods, local places for a healthy sustainable environment and to provide economic opportunities for local farmers and businesses. The Farmers Market will offer a wide array of fresh fruits & vegetables along with plant materials. Whether you are looking for delicious produce, salad greens, herbs, honey, watermelons, peaches, farm fresh eggs, meat items, cut flowers or quality Made in Oklahoma products then you must explore this seasonal, open-air market! Although farmers markets open in Oklahoma in April and May, not all fruits and vegetables are available at that time. Refer to the Oklahoma seasonal chart before you go to the farmers market. For best selection of produce, arrive early to the market. Some items sell out quickly. There are two types of farmers markets in Oklahoma. The first is the OKGrown markets, which have 100 percent Oklahoma-grown produce. Conventional markets may have produce from other states as well as what farmers have grown in the state. Always wash your fruits and vegetables before use. Will that be cash or credit? Although technological advances have helped small growers, many farmers and markets may not accept credit or debit cards so bring cash, preferably small bills. Get to know your farmers at the market. If you seek information about preparing vegetables you have never tried, ask the farmer for suggestions on how to prepare an item. Many fruits and some vegetables can be frozen to be enjoyed throughout the year. Farmers are natural gamblers, meaning they are subject to Mother Nature’s every whim. Remember that drought, freezes and extreme heat each year can affect farmer’s crops. 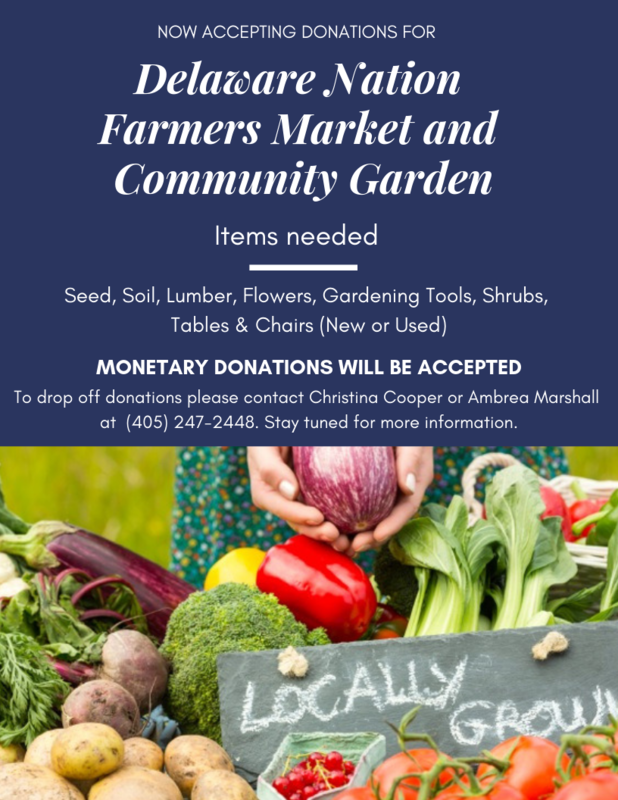 Connect with your local farmers market on social media such as Facebook. Many markets use their social media to let you know what is in season or other updates. Fruit and vegetable crops are weather-sensitive. 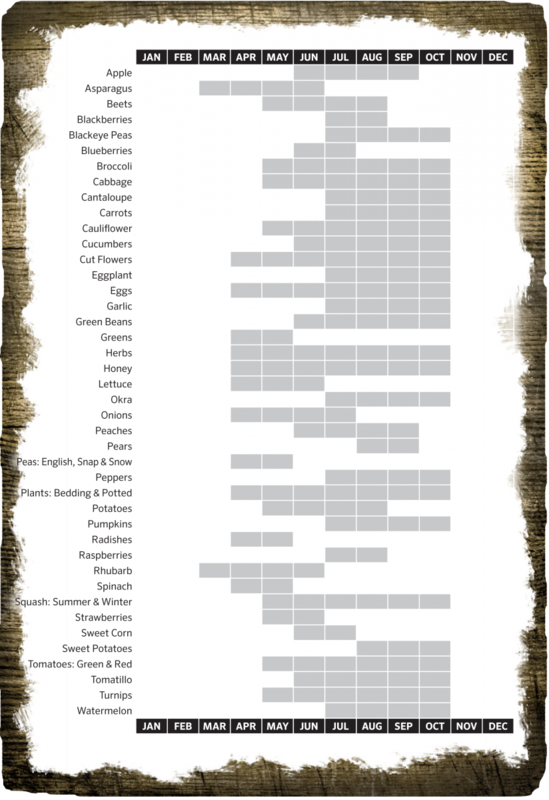 Please utilize this chart to help you learn what grows during the different seasons.